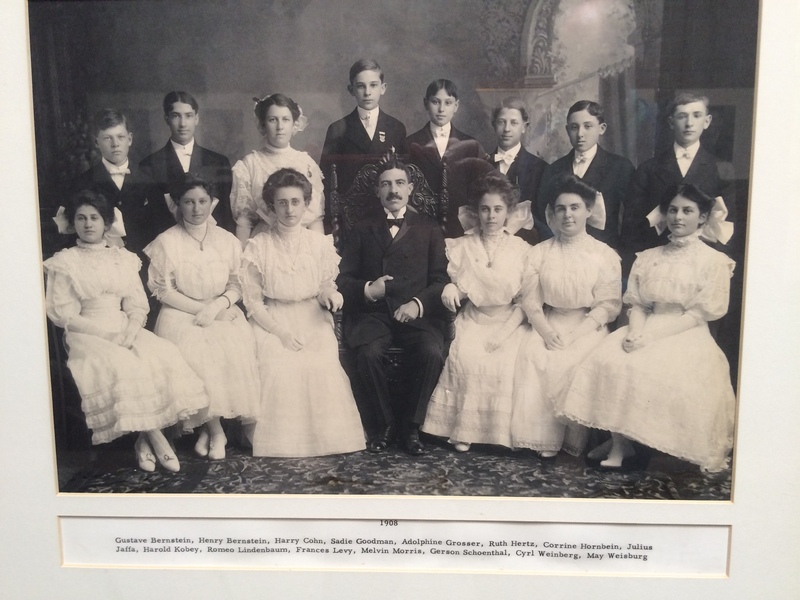 About 110 years ago, my great-grandparents Isidore and Hilda (Katzenstein) Schoenthal and their four children, Lester, Gerson, Harold, and my grandmother Eva, moved from Washington, Pennsylvania, to Denver, Colorado. Gerson had allergies and asthma, and doctors had suggested that the air in Denver would be better for him. My grandmother was only a few years old, her brother Harold only six, and the two older brothers were teenagers when they moved. My grandmother spent her childhood in Denver, leaving when she was eighteen to marry my grandfather, John Nusbaum Cohen, of Philadelphia. As I wrote about here, my great-grandfather had several jobs in Denver, but spent most of his years in Denver working for Carson Crockery, a major distributor of china and other related products. 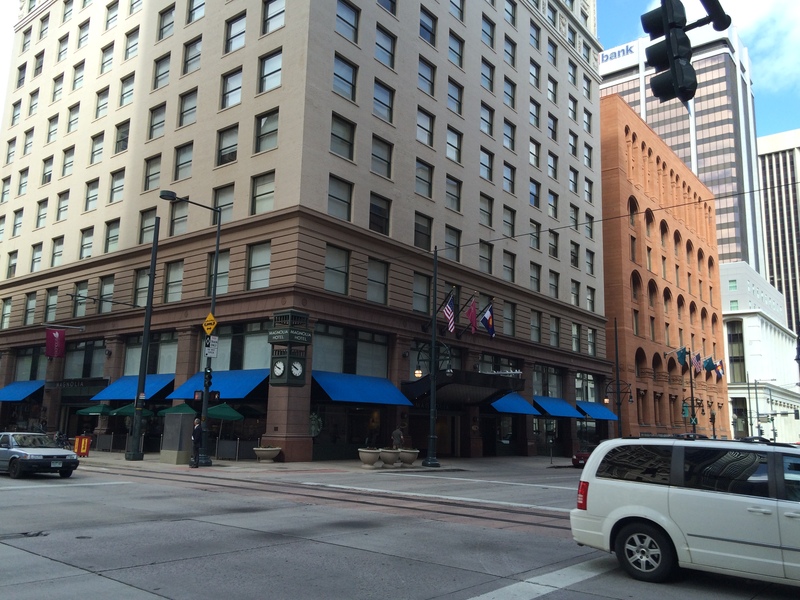 By the early 1920s, the family members began to leave Denver. 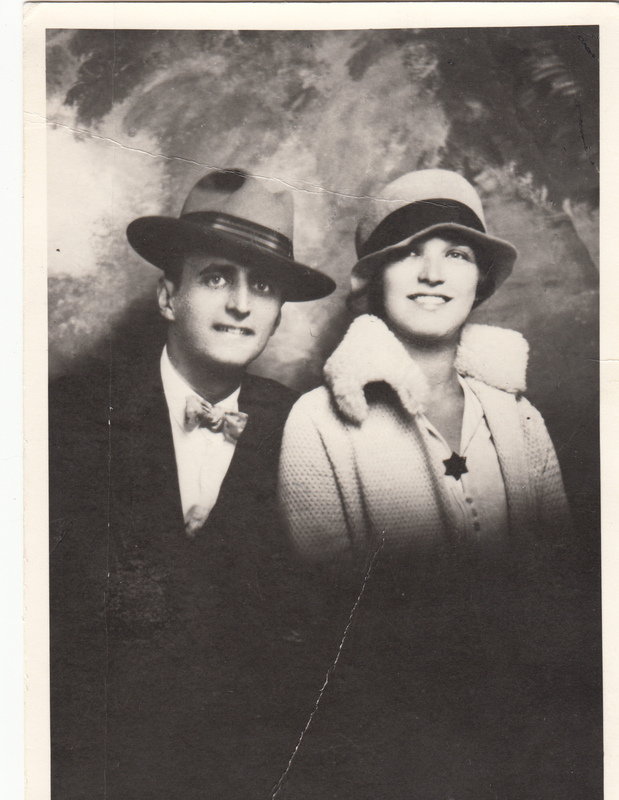 My great-uncle Harold left to go to Columbia University; my grandmother moved to Philadelphia after marrying my grandfather in 1922. Lester, the oldest son, and his wife Juliet Grace Beck, moved between Indiana and Colorado and back again over the years. 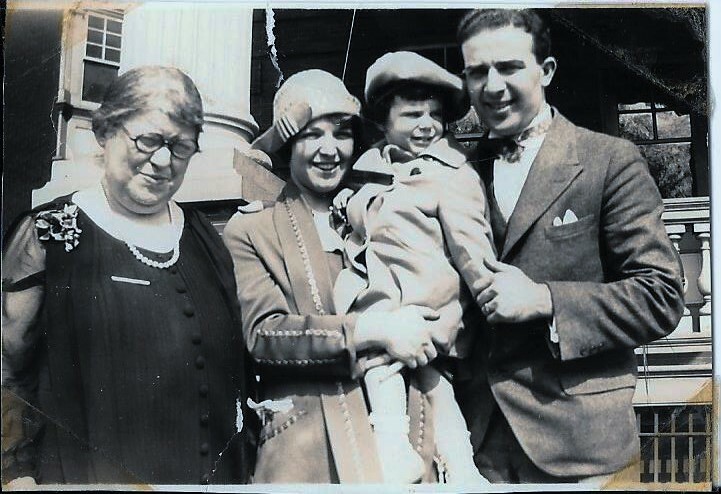 And my great-grandparents moved back east by 1929, settling in Montclair, New Jersey, where their son Harold had moved after finishing college. 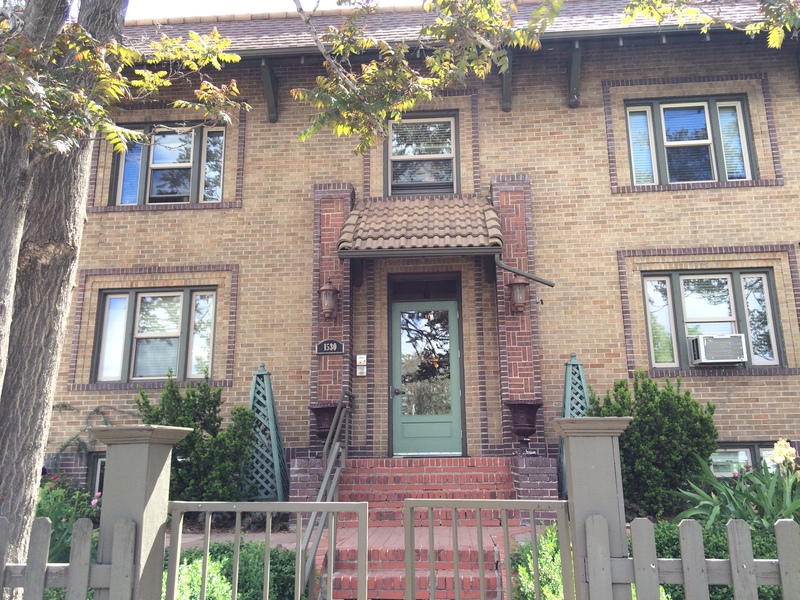 Eventually Lester and his wife also settled in Montclair. Only Gerson stayed behind in Denver after the 1920s; he remained there until shortly before his death in 1954 in California, where he and his wife Maude had moved just a month beforehand. 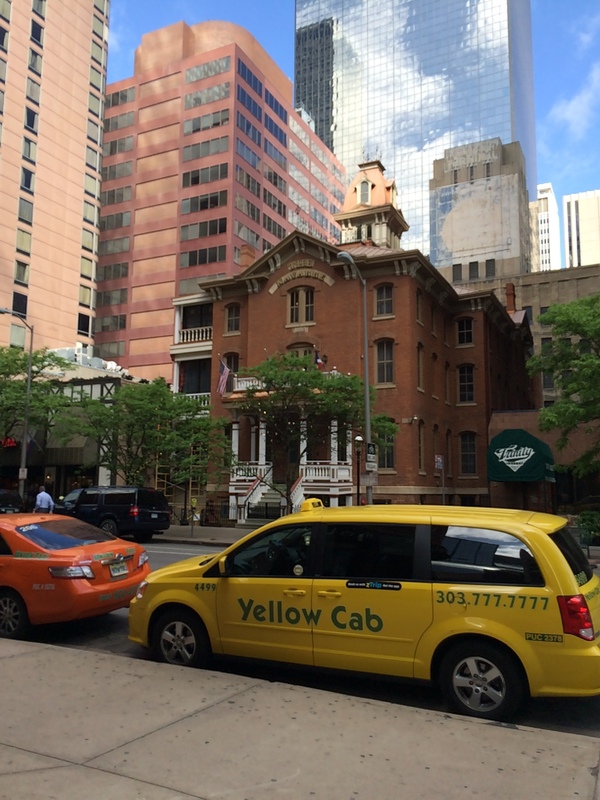 Thus, for about twenty years, Denver was home to my great-grandparents and their children. 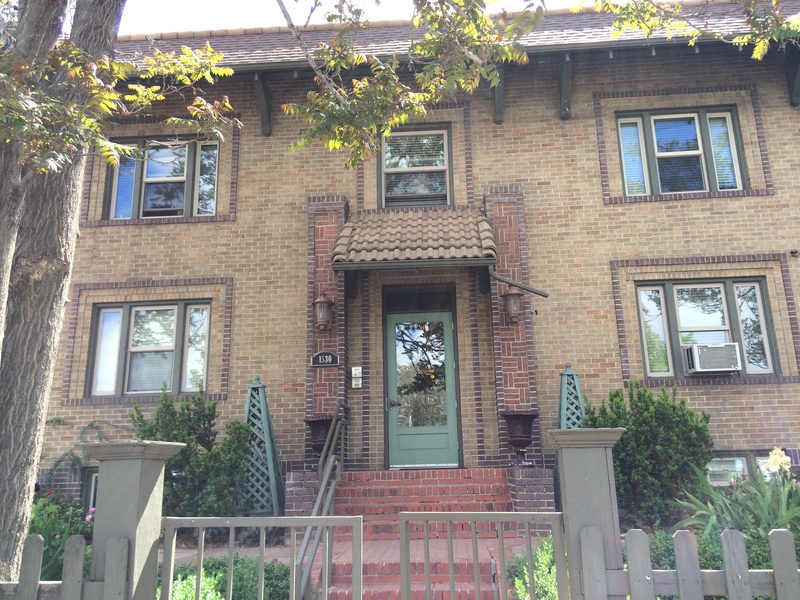 So when my friends and I decided to have our reunion in Boulder, Colorado, this year, I knew I had to spend some time in Denver to see the city where my Schoenthal family had lived in the early years of the 20th century. 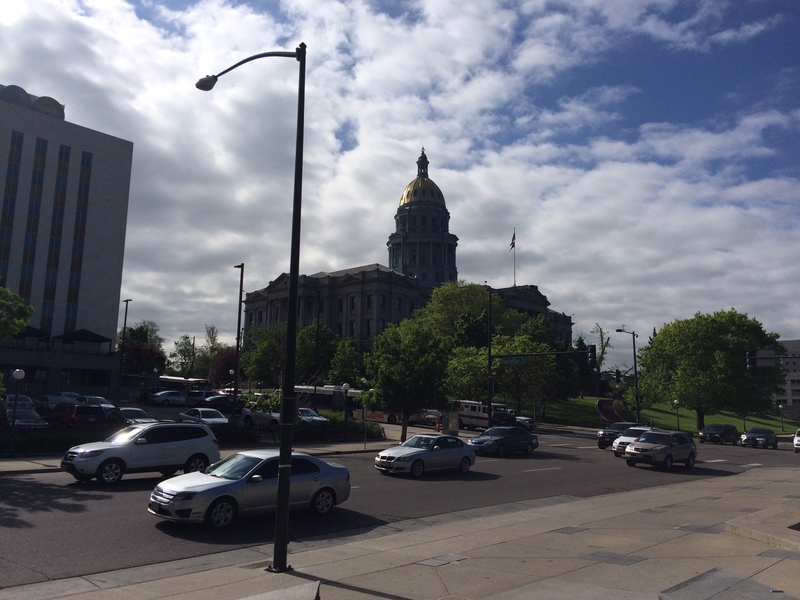 My husband and I didn’t have much time in Denver—just one afternoon and evening and the following morning. 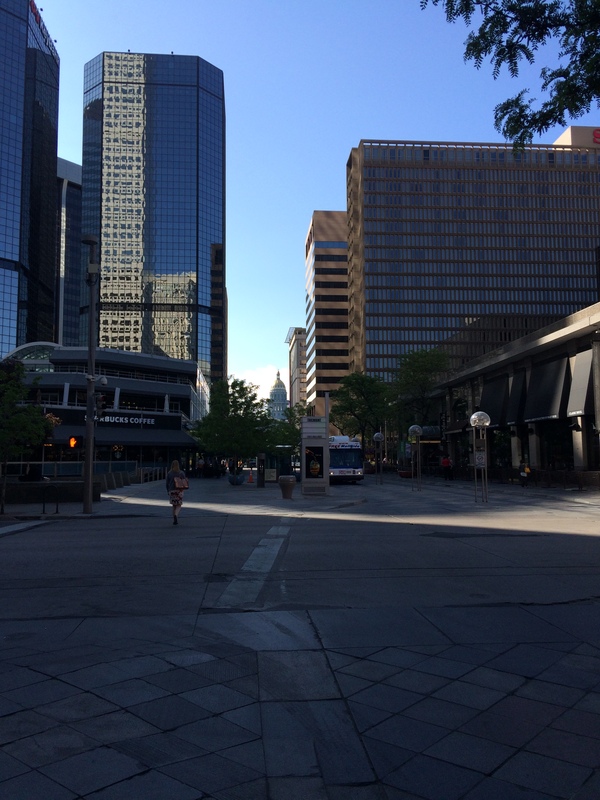 Nevertheless, I think we got a fairly decent feel for the downtown section of the city. We walked through the downtown area all the way from the Civic Center and State Capitol building to Union Station and the bridge over the river at the opposite end of Sixteenth Street. 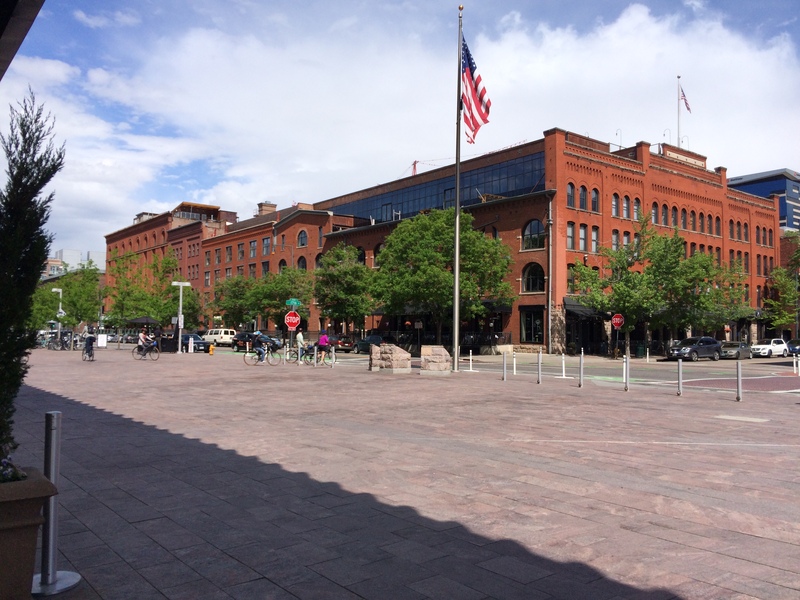 Denver is quite obviously a city that has changed dramatically over the last couple of decades, as the mix of older and newer architecture reveals. Everywhere you look you see new, shiny glass skyscrapers next to older buildings, some of which could date from the era when my great-grandparents lived in the city. I tried to capture that contrast in these photos. 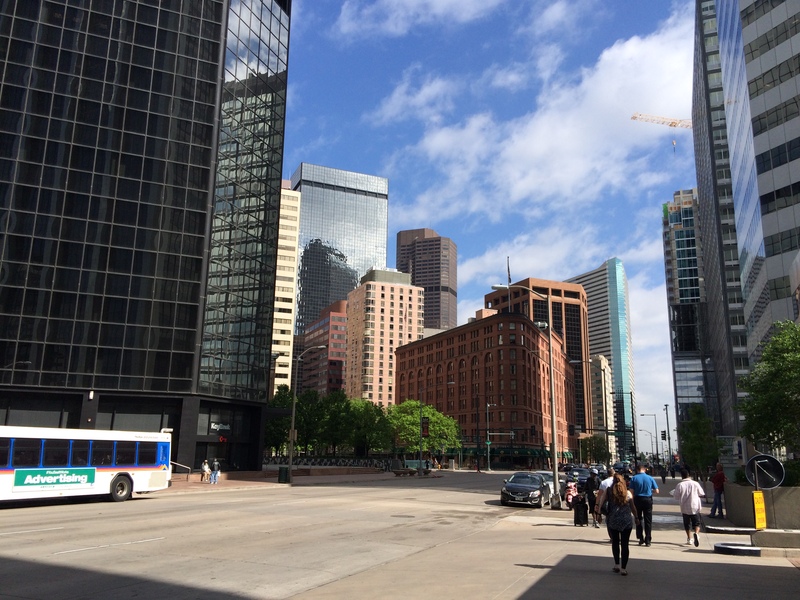 Although we arrived on a weekday, expecting the bustle of a big city, Denver felt strangely quiet even in the downtown area during a Monday workday, at least as compared to cities like New York or Boston. Not that the streets were empty, but there was definitely a slower pace and fewer people on the streets than we would have expected. 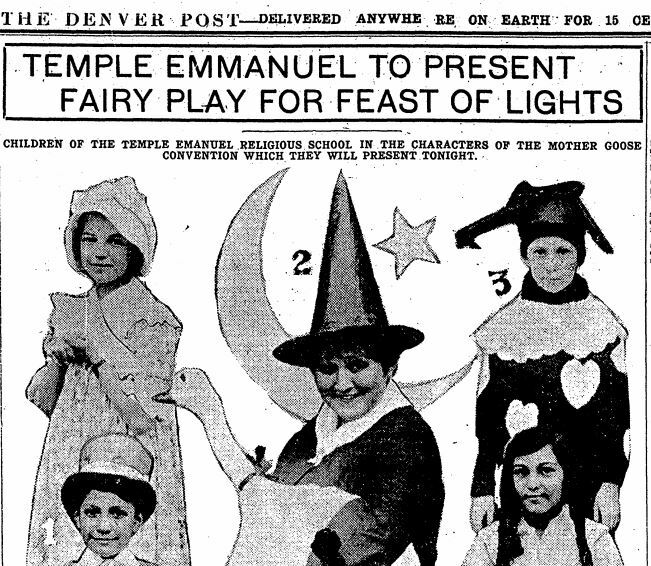 When my great-grandparents were living in Denver, they belonged to Temple Emanuel, where my grandmother and two of her brothers were confirmed. 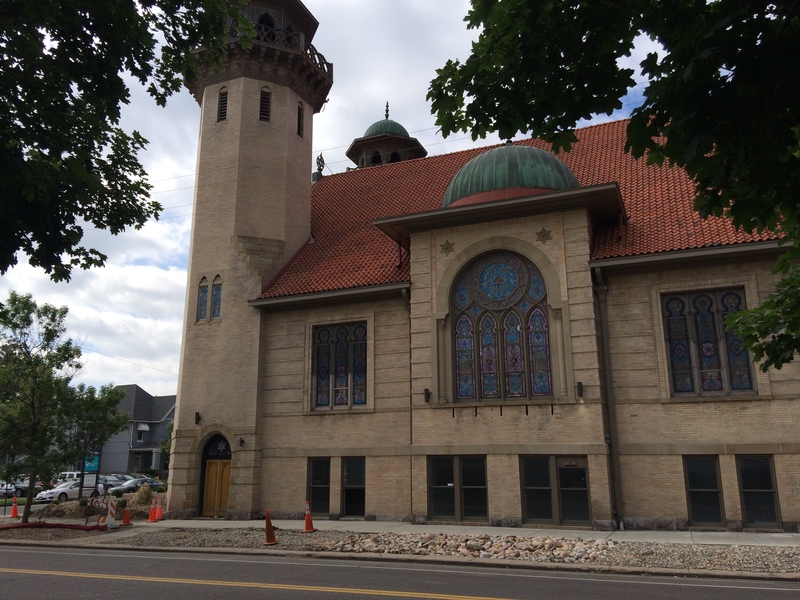 Temple Emanuel was then located on 16th Avenue and Pearl Street, a location about a fifteen minute walk from our hotel. The building is still there, and it is beautiful. 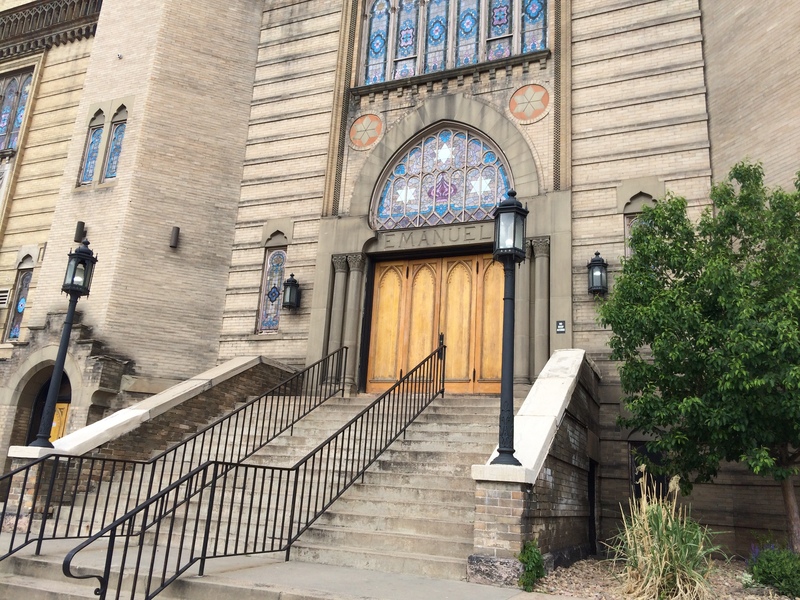 Although the Pearl Street building is now a church, the original building’s exterior has been preserved. (We did not see the interior.) The Star of David still appears in several places on the building, as does the name Emanuel, as you can see from these pictures. 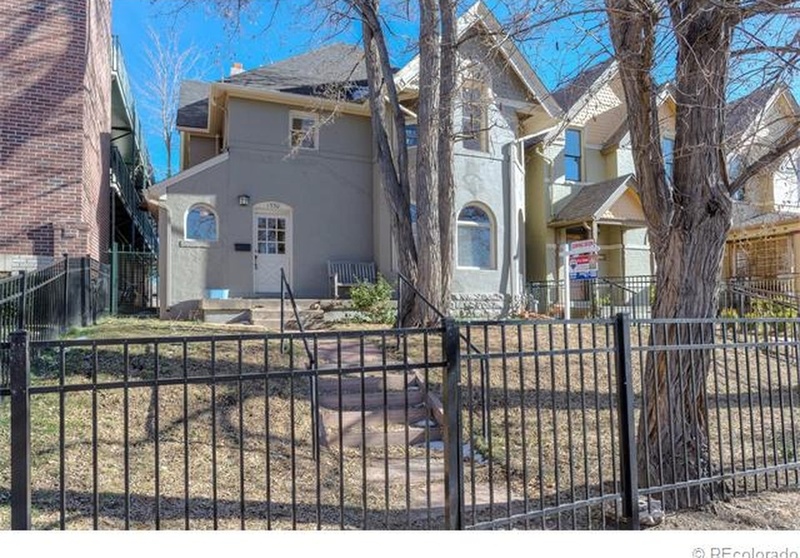 Apparently the years that my family lived in Denver were years of growth for Emanuel as a substantial addition was built in the 1920s. But after the war, the congregation left this downtown location and built a new building further out. 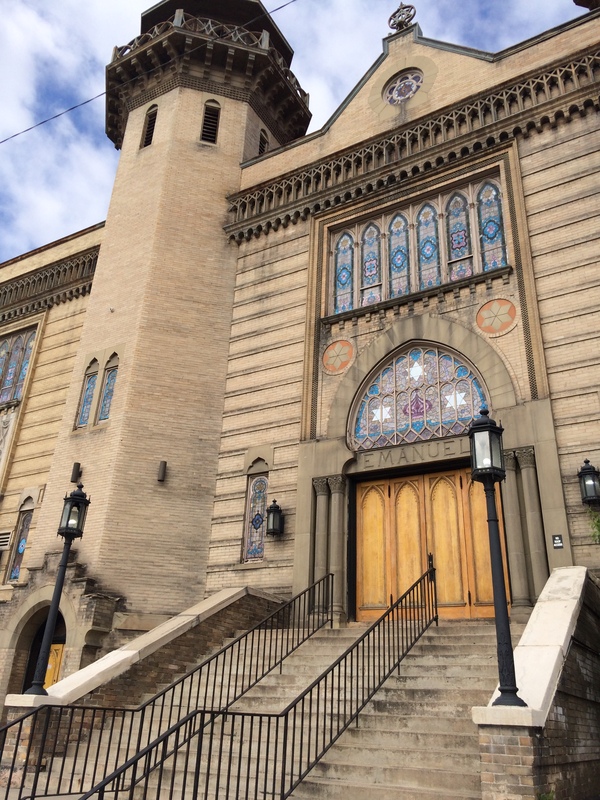 Before arriving in Denver, I had contacted Steve Stark, the current executive director at Temple Emanuel, to ask whether they would have any records or photographs from the era when my great-grandparents had been members. 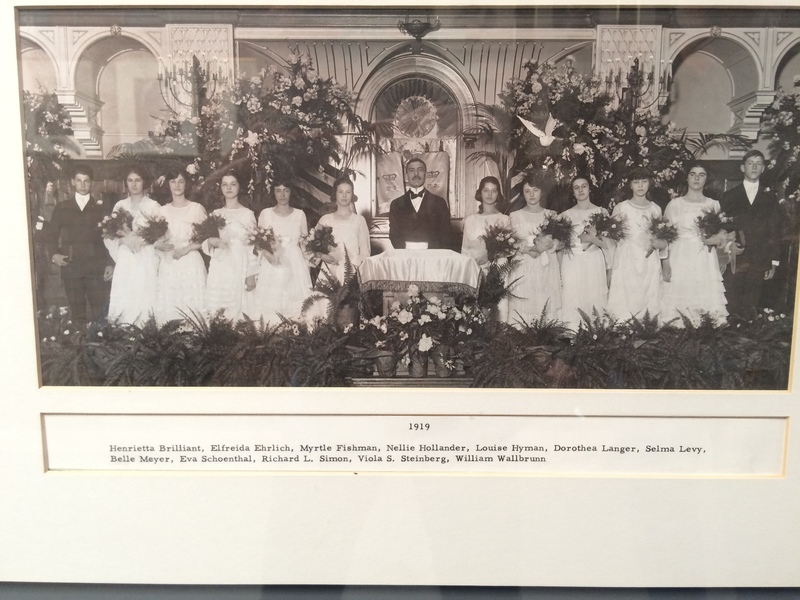 He wrote back and told me that the confirmation class photographs from that time period were on the walls of the current building and that I was more than welcome to come to the building to see them. 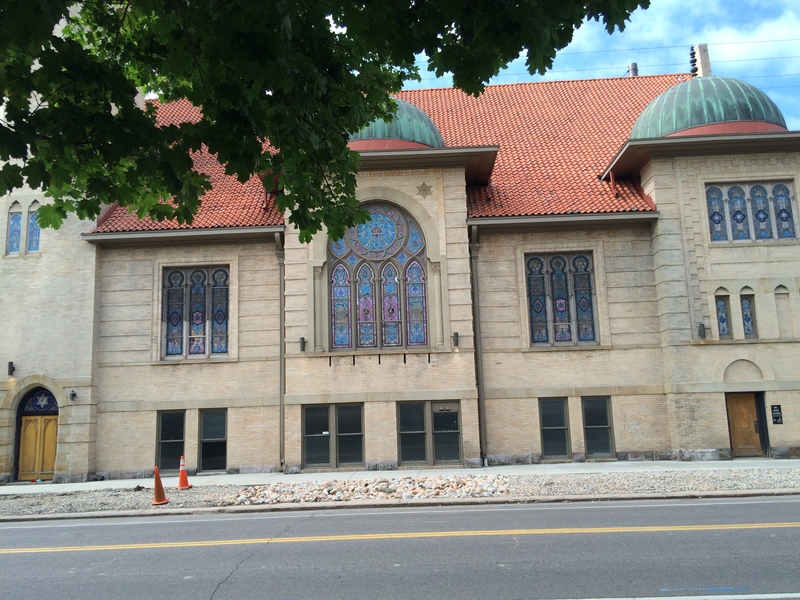 So we drove out to Temple Emanuel’s current building after leaving downtown that morning. 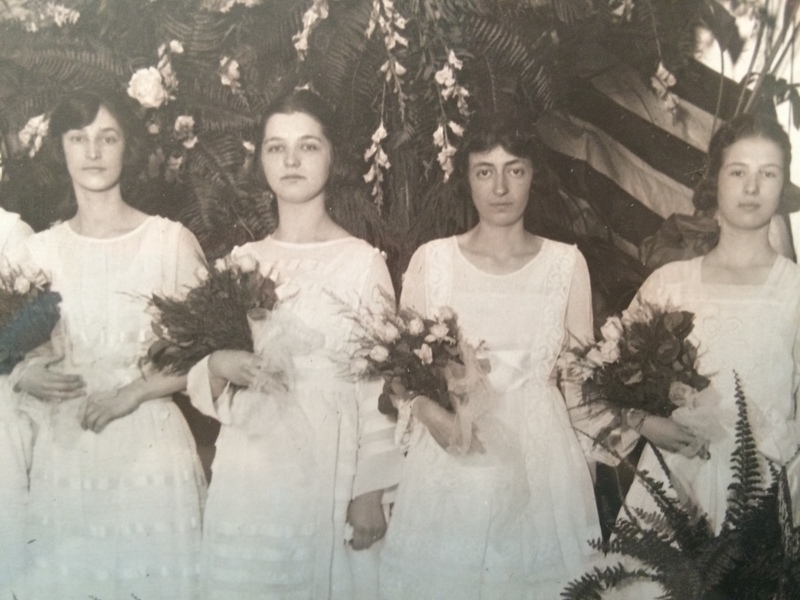 I was very excited when I was able to locate the photographs of the confirmation classes of three of Isidore and Hilda’s children: Gerson, class of 1908, Harold, class of 1916, and my grandmother Eva, class of 1919. I was struck by how formal and how elegant they all look. It’s hard to imagine a class of fifteen year olds looking like this today. Although I was easily able to identify my grandmother in her class photograph, I will need to get my father’s help to pick out Harold and Gerson in their class pictures. We then stopped by the Temple library to see if there were any other records from the early 20th century, but we learned that all records from that time period are archived in a separate storage facility. However, Rita Dahlke, the assistant principal of the religious school and librarian at Emanuel, very generously gave me a copy of Temple Emanuel of Denver: A Centennial History by Marjorie Horbein (1971). Although my family is not mentioned in the book, it does describe the years from 1900-1930 as years of significant growth for the congregation. We also asked Rita about the history of their current building, which was built during the 1950s and officially opened in 1960. 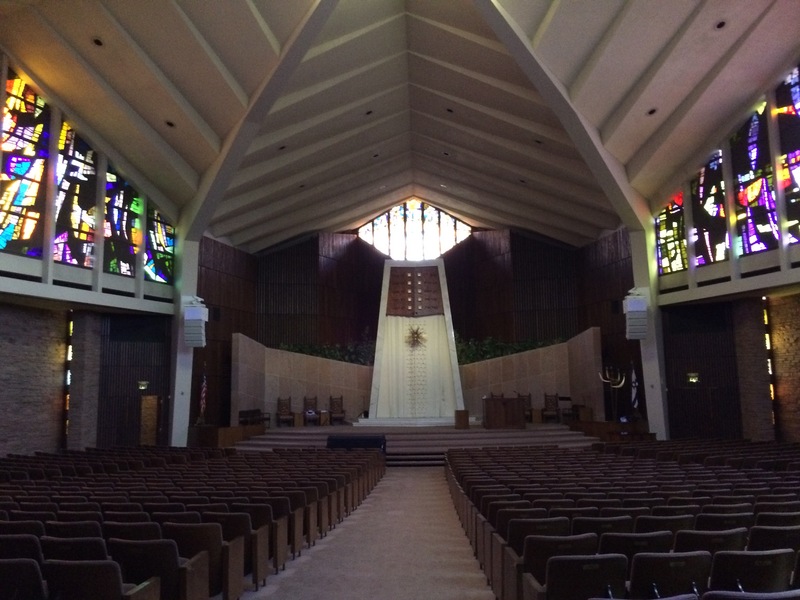 I had seen a photograph of their sanctuary on their website and noted the similarity to the sanctuary of our synagogue, Temple Beth El in Springfield. 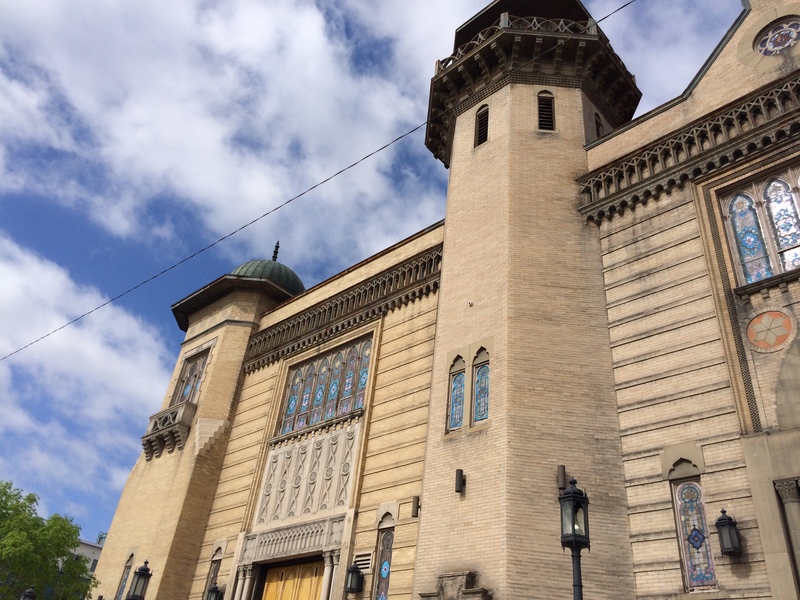 We were curious as to whether their building had also been designed by the noted synagogue architect, Percival Goodman, and Rita checked and confirmed that in fact their building was designed by Goodman. She then took us into their sanctuary so that we could see it for ourselves. The resemblance is striking. It was a poignant moment for us as our current synagogue is considering changes to our sanctuary to accommodate today’s smaller crowds. 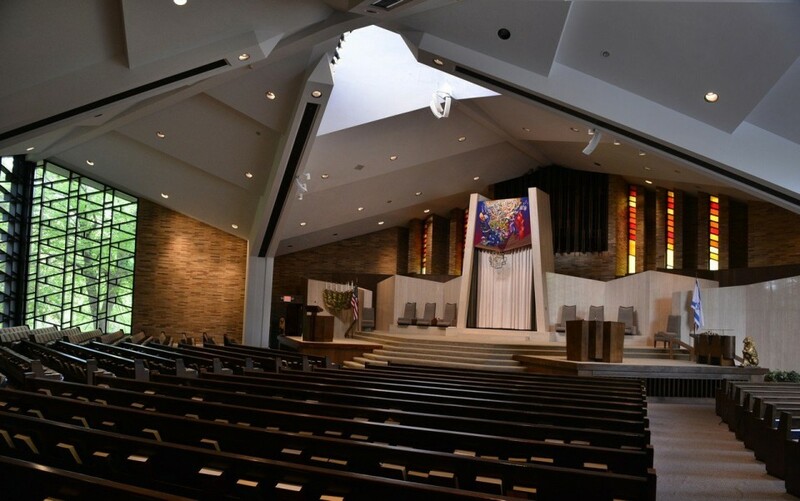 Temple Emanuel took a different path and built a separate smaller chapel in the late 1980s rather than compromise the beauty of Goodman’s design. I also wanted to see if I could find any of the houses where my relatives had lived, but after checking, I realized that two no longer existed. The one closest to downtown must have been torn down when the Denver Performance Center was built, and the other address no longer has any structure on the site at all. But I wasn’t sure when the building was built, so in writing this post, I googled 1550 Downing Street to see if I could find that information. But Google kept showing me a very different house. I was confused. So I looked more closely at the house I’d photographed. You can see that I took pictures of 1530, not 1550. SIGH. Here, however, courtesy of the internet, is a photo of 1550. 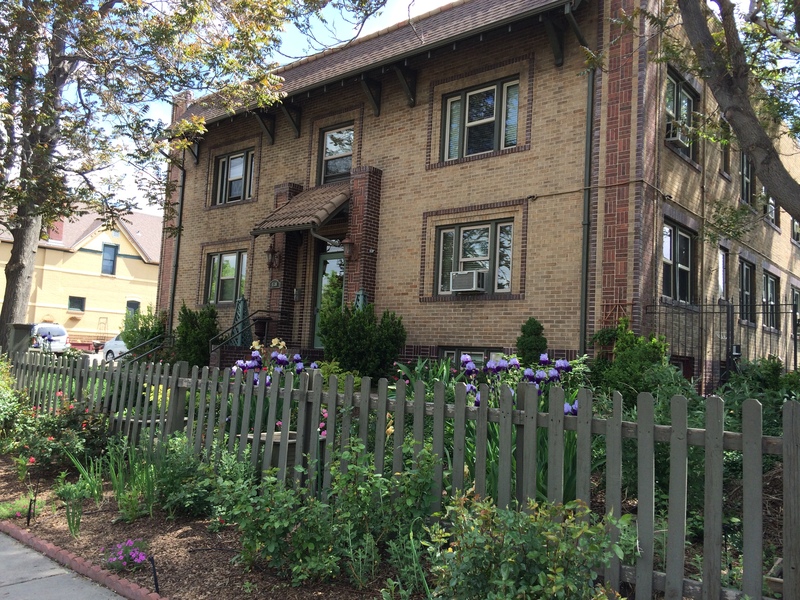 According to Zillow, it was built in 1888 and sold in March, 2016, for $798, 200. It appears to have been totally gutted and renovated, and probably the only thing left from the time my grandmother lived there is the claw-footed tub. You can see more pictures here. 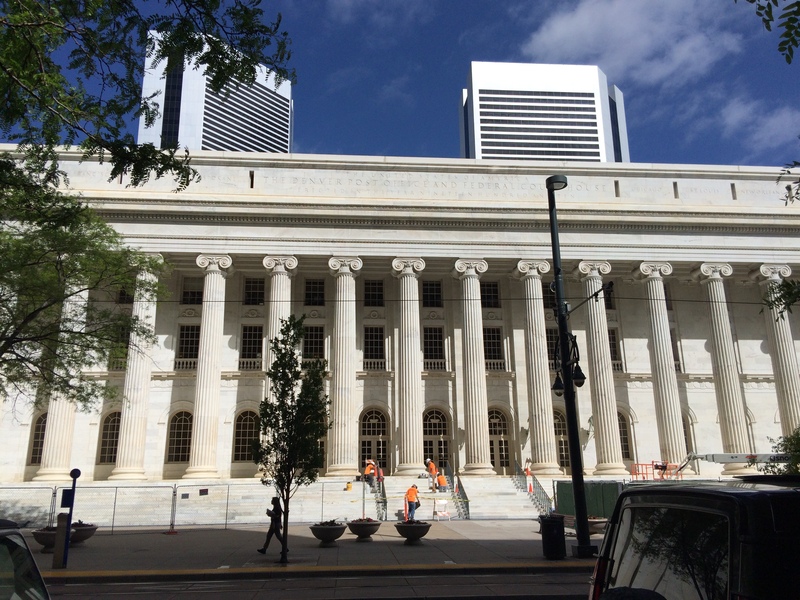 Our visit to Denver was a touching one—to be able to see the building where my grandmother had been confirmed and acted in plays for the Jewish holidays, to see her photograph on the walls of the new building, to pass the addresses where she and her family once lived. In my head I could envision my great-grandparents and their four children living in this place a century ago. Below is an interactive map showing the places where my family lived in Denver and the location of their synagogue. Click on the red balloons to see more about the location. In a recent conversation with my father about his mother, he commented that I had presented only a partial representation of her in my writing about her. In my limited times with her when I was child (she died when I was ten), she had seemed quiet and fragile and somewhat withdrawn. But my father pointed out that in her youth, she had been very outgoing—someone who had performed in plays both at temple and at her high school. He described her as very social—someone who had many boyfriends after my grandfather died; she also worked outside the home to support my father and my aunt once she was able to care for them again, working in the china business, making lampshades, and doing drafting for the military during the war. And although I had thought that her parents had moved to Philadelphia to help her care for my father and aunt, in fact the opposite was true. They moved to Philadelphia so that she could care for them, as they both had become quite ill and needed help in their daily lives. They moved next door so that she could cook and care for them. My grandmother was not a timid or weak person, but a woman who had survived the tragic illness of her husband and her own troubles to come back to take care of others. Fortunately, my father shared these thoughts with me before my trip out west, and so as I walked the streets of Denver, I imagined my grandmother not as I knew her in the later years of her life, but as a young, vibrant, beautiful and happy little girl and young woman, surrounded by her parents and three older brothers, performing on the stage, and actively participating in her school activities. I am so glad that my father corrected my impressions of her and thus allowed me to envision her childhood in a more positive way. 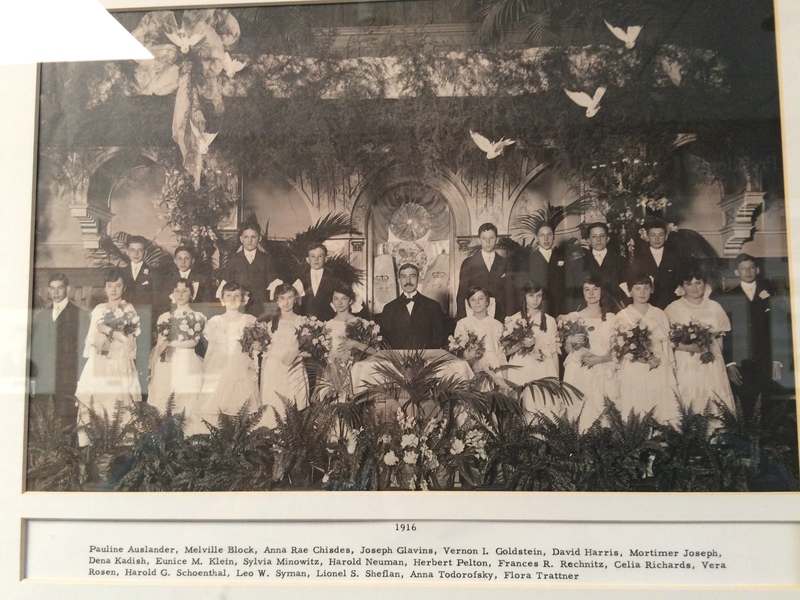 This entry was posted in Colorado and New Mexico, Denver, Genealogy, Schoenthal, Travel and tagged Colorado, Columbia University, Denver, schoenthal, temple emanuel denver by Amy. Bookmark the permalink. There is nothing like walking in the footsteps of our ancestors – seeing the buildings/homes where they lived, worked, and worshipped is an extra bonus. I noticed the new photo at the top of your blog which I later found out was the temple – it is absolutely gorgeous. I am so glad you had the opportunity to visit! That’s how I feel—standing in the shadows of those who came before me. It’s thrilling. I am not sure which photo you mean—the one across the top of my blog? That’s a shot of Tarnobrzeg where my mother’s maternal grandparents lived before immigrating to the US. Or was it a different one that you meant? Hi Amy, The Temple Emmanuel is so imposing! A breathtaking building, you must have been overjoyed to have walked the trail of your Ancestor’s. It’s good to tie in the generations. Very pleased for you. Thank you, Shirley. It was a moving experience for me. I love walking around Denver. There is much to see. I am glad you were able to reconnect with places that meant something to your grandmother. It is a nice walking city from the little we saw. I know we didn’t see all of it, but I think we did get a good overall view. They have a great art museum. And the home of Molly Brown, who survived the Titanic sinking. The art museum was closed, unfortunately, and we also missed the Molly Brown house (as well as the house where Golda Meir had once lived). I guess we will have to go back! Fascinating to think that we spent four years walking around the same Denver where your ancestors lived! I love the invisible lines of connection between people and places! Those invisible lines are what tie us to the past….and to the future! Thanks, Mark. I can see why you and Ronda liked living in Colorado. That certainly fleshed things out, didn’t it? It seems to me your grandmother was quite glamorous; easily the most attractive of the faces in those pictures, but I can understand the later frailty you knew. For all she drew from hidden strengths, she does not look like an instinctively ‘capable’ person. I wonder if she had regrets? Perceptive observation, Frederick. I wonder if she did regret leaving home at such a young age (18) to marry a man she really hardly knew and who was nine years older than she and who lived on the other side of the country, so far from her parents and her two oldest brothers. Given how things turned out, I do wonder whether she would have been happier staying in Denver a few more years and growing up a bit more before marrying. Wonderful! I love the confirmation class photos. What a fun new treasure. I think it’s amazing to walk in the footsteps of our ancestors. I always feel such a cool connection to them when I am able to do that. Thanks, Amberly! For some reason I missed a few of your comments. Catching up now! I appreciate you doing that—and as you know, there can never be too many comments!